Are these organizations hopeless troglodytes who just don’t get it? The answer is an emphatic, “No”. While credit unions must embrace innovative data and analytics techniques, reporting is and will remain an important part of their overall decision support strategy. Yet, reporting is undergoing an evolution that is necessary for it to remain relevant and useful over the coming years. The e-book cites four important reporting “shifts” in this regard. Traditional reporting typically draws data from a single source within the credit union’s firewall. Today, data accessible via the Web is now fair game for use in reporting systems. Often, these external data sources will be in a format that is not the traditional columns and rows. Tools to handle such external data has evolved to manage various unstructured formats. Data is reformatted to be compatible with the rest of the credit union’s data. The humble PDF represents the most iconic form of static reporting output. By its nature, this output is unchangeable until source data changes, processes are re-run, and reports are produced again. Now the technology exists to make reports interactive such that the report consumer can change parameters on a screen and resulting report output changes. This allows the report consumer to run multiple reports in a self-service mode. “Batch” reporting, which translates to daily reporting, was the norm for decades. More frequent data updates have been possible for a long time but expense and system complexity caused most credit unions to stick with the daily cadence. Advances in technology have made the provision of higher frequency data provision less costly and less complicated. The result is decisions that benefit from a faster data turnaround can now be supported to a greater degree. Information visualization has experienced the most obvious shift simply because that’s what report consumers see and work with every day. 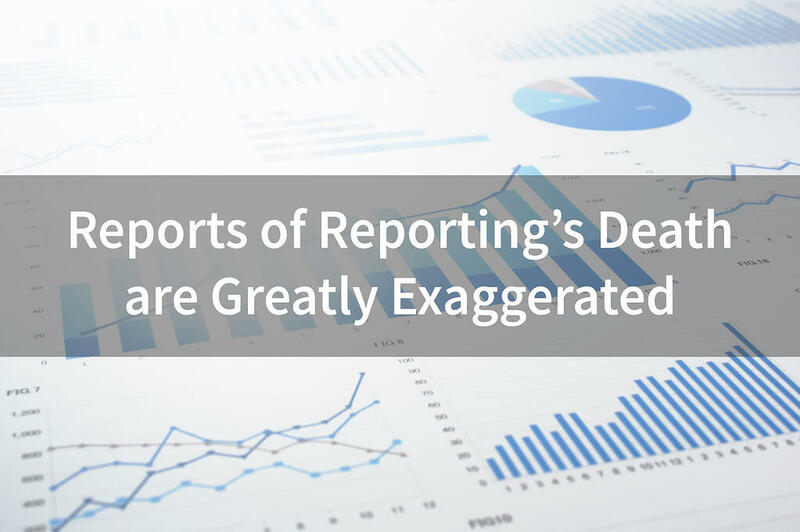 While innumerable basic row and column reports continue to be produced, report consumers get most excited by colorful, cutting edge reports. Not only are they beautiful to look at, the way information is portrayed and conveyed has changed drastically. Along with simple line charts and bar graphs, new ways of visualizing images are driving deeper understanding of subject matter thereby better supporting decisions.